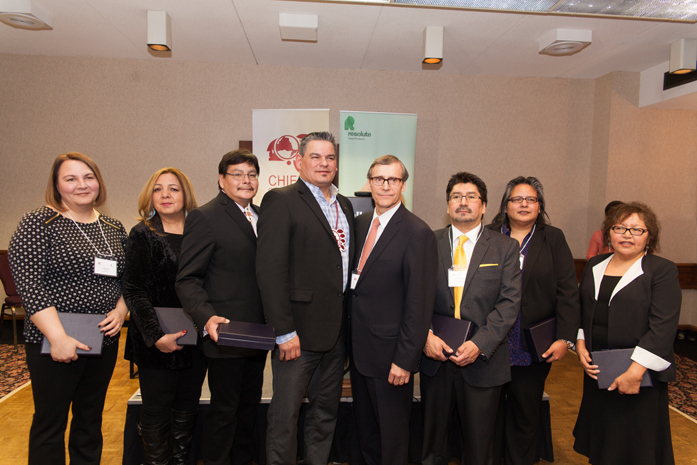 On January 13, we took part in a reception honouring those partnerships and the economic opportunities being generated by First Nations across Ontario. The event took place in Thunder Bay, Ontario, and was attended by leaders from each of the First Nations involved in the agreements, as well as Ontario Regional Chief Isadore Day and leaders collectively representing Ontario’s First Nations Confederacy. Many of the attendees had travelled a great distance to be there. There were over 100 people present, including Provincial Ministers, Members of Parliament, mayors and city council members, and business and academic leaders. 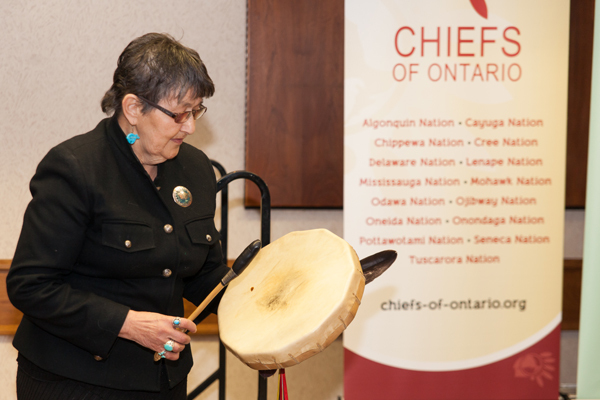 The event began with a ceremony and prayer led by Elder Isabelle Mercier, who performed a drum song to call in the four directions. Words of acknowledgement and congratulations were offered by Chief Day, The Honourable David Zimmer, Ontario’s Minister of Aboriginal Affairs, and our own President and CEO, Richard Garneau. Chief Day and Mr. Garneau jointly presented each Chief with a special gift commemorating their success. It was a truly remarkable event and an air of hopefulness and enthusiasm could be felt around the room. Many organizations talk about economic integration and the need for social change. At Resolute, we’re not just talking about these things, we’re doing them, along with our First Nations partners. We hope that the partnerships celebrated inspire other communities and industries by demonstrating what can be achieved through respectful collaboration. I attended the event and was very proud of the cooperation and happy to see all parties celebrating this agreement.